I feel like there is a misconception in performing A/B tests. I've seen blogs, articles, etc. that show off the result of an A/B test, something like "converted X% better". But this is not what the A/B test was actually measuring: an A/B test is measuring "which group is better" (the binary problem), not "how much better" (the continuous problem). This graph makes me lol. 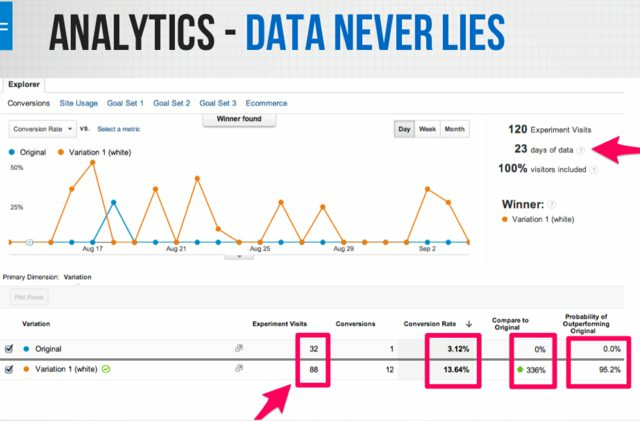 Experiment dashboard's will confidently proclaim an 85% lift and be done with it, but just look at the variability! We need to pick better estimate from this distribution. Choose the mean/expected value: This is actually a really bad choice. The distribution above is heavily skewed, so the mean is a poor representation of reality. Choose the median: The median, or 50-percentile, seems decent, but tends to overestimate the lift too. Choose the \(n<50\) percentile: This is a better choice. It's conservative and robust. it balances our confidence in the solution to the continuous problem and not reporting overly ambitious (and hilarious) results. The good news is that whatever percentile we pick, we'll converge to the correct relative increase with enough data. Traditionally, we have examined statistical significance in testing using the null hypothesis method of test measurement—which can be misleading and cause erroneous decisions.For example, it can be tempting to interpret results as having strong confidence in lift for key metrics, when in reality, the null hypothesis method only measures the likelihood of a difference between the two treatments, not the degree of difference. The Bayesian method actually calculates the confidence of a specific lift, so the minimum lift from a test treatment is known.For this particular A/B test, we were able to conclude that RichRecs+ICS delivered 5% or greater lift at a 86% confidence using Bayesian analysis. What we can determine from this is that they chose the 14% percentile (100% - 86%), which showed a 5% increase (solution to the continuous problem). I've never met anyone from RichRelevance, nor have I used their software, but they are doing something right! Source. The logic, from what they have said, is actually wrong too. 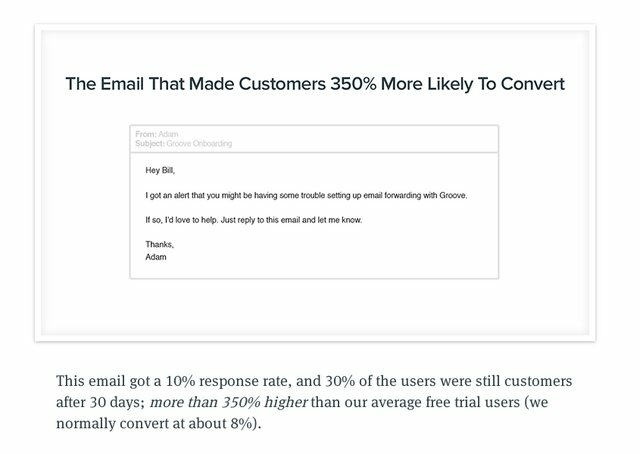 As a user who got this far into the funnel (they clearly tried to add email forwarding) is already more likely to convert than the average user. Combined with the likely small sample size, we get some ridiculous 350% lift. Their arrows point to whats wrong. Incredibly small sample size. Total mixup of the binary problem vs. the continuous problem. The "probability of outperforming original" can only be determined using Bayesian A/B testing. I've tried a bunch of priors and could not get 95.2, so they are not using Bayesian methodology, so the label is wrong. I think Optimizely changed their approach recently, but I get your beef with both the naming convention they use in their interface and the ridiculous results that many A/B testing case studies report. I can somewhat understand the naming convention part, since it needs to be understandable to non-statisticians, but I’d agree about the bias in reported results, a lot of which actually comes, I argue, from sequential testing done improperly. That is, people want to use the most basic statistical test, then break all it’s base assumptions, cause they are inconvenient in practical settings. That’s not how you do things properly. I’ve gone to great lengths to try and address that with the AGILE A/B testing approach, where I borrow statistical methods from medical experiments and apply them to online controlled experiments. Might be interesting for you to take a look at (free white paper is available). Thanks you so much for these so pedagogic blog posts and for the fantastic Probabilistic-Programming-and-Bayesian-Methods-for-Hackers!